M: Personally, I’m looking forward to many of the films in the category of “Historica Focus”. T: Our purpose in doing “Historica Focus” is that we wanted to do samurai films, and this time we are lucky to be able to have the cooperation of Kenji Tanigaki, the action director of “Ruroni Kenshin”. T: We asked Mr. Tanigaki to come up with films that, say, he has referred to when planning the action in his own films, or that are great to watch for katana (Japanese swords). He came up with about 30 films and we chose some from amongst them. 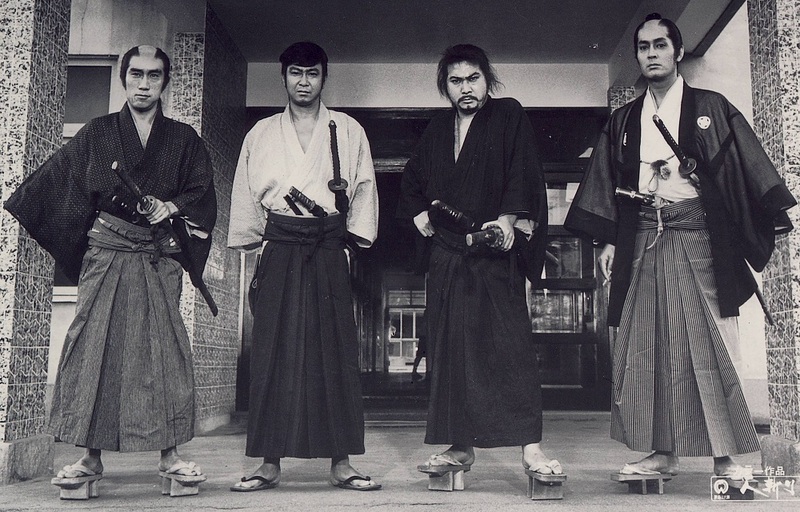 Buster Keaton, Daisuke Ito, Shintaro Katsu, Jackie Chan, you name it. (c) 2007Warner Bros. Entertainment Inc.Distributed by Warner Home Video. All rights reserved. T: Mr. Tanigaki has a huge quantity of his own action sequences and old footage that he has referred to in his laptop, like an archive, and he watches them to produce his action scenes. T: So we want the audience to experience some of that archive this time. M: Right, it must be easy these days to archive that kind of past content, and then find inspiration in there, and put an action scene together sort of like editing. T: You might find that, say, a roundhouse kick in a particular scene has actually been taken from another scene in another movie. But not many people understand that just by hearing about it. T: We’re going to have him talk about it while showing the footage, so it will be easy to understand and interesting. There hasn’t really been anyone in Japan who can do it with this, and I think we’re very lucky to be able to see it. M: It’s like remixing music, isn’t it? T: You can do that kind of thing with action. M: I’m particularly looking forward to “A Selection of Daisuke Ito’s Sword Action”. T: That program is a collection pieces of various works. Yoshitaka Maki, a game director, is bringing the footage. He directs arcade games, like one where AKB48 become zombies and you shoot away at them. T: And actually he’s a collector of Daisuke Ito. I mean, I think Daisuke Ito is that influential. He’s even influencing ideas for action in games. M: What era was Daisuke Ito active in? T: It think it was the silent era of the 1920s to the 1930s. M: It feels really rich that a game director is being influenced by someone of that era. T: I think Mr. Tanigaki of “Ruroni Kenshin” probably referenced Daisuke Ito’s “Shinpan Ookaseidan” because of youtube. 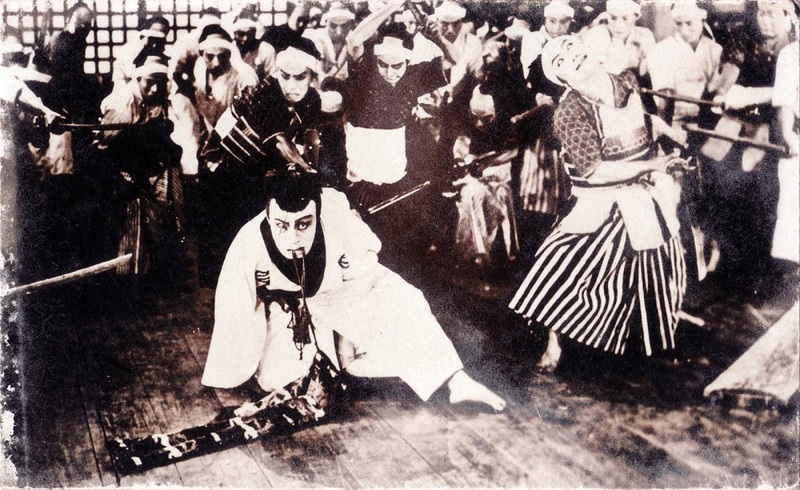 M: Just like Mr. Tanigaki referenced Buster Keaton moves in the action in “Ruroni Kenshin”, in this age it wouldn’t be at all surprising if Daisuke Ito’s sword action is influencing an overseas movie producer somewhere. T: That’s what’s so interesting. M: In addition, the films selected for the “Historica World” category are ones that, among the historical films around the world, are particularly modern and are high in entertainment value, right? T: That’s right. Are there any that you’re interested in? M: It’s got to be that famously unusual work “The Forest”. M: Hahahaha. I’m looking forward to it. M: Could you tell us something of that? T: I think that director really has a strong desire to tell a story. But there’a a strange quirk in there. I think he’s the type that doesn’t really think of the overall picture, and his ideas come out later on. T: Ultimately, he’s bit of a fanatic. I feel he’s like me in that sense. In some ways I don’t think he’s very good, but I can’t come to dislike him. M: It’s a Spanish movie, isn’t it? T: That’s right. The story itself is set in Spain in the 30s in a rural village during the rule of Franco and a battle in the Civil War. It starts with the simple life in the village, and just when you’re thinking how awful it is to be dragged into the war, there’s suddenly a totally different development. M: Can’t wait to see it. M: This is the one I’m most interested in. T: You won’t believe what happens. 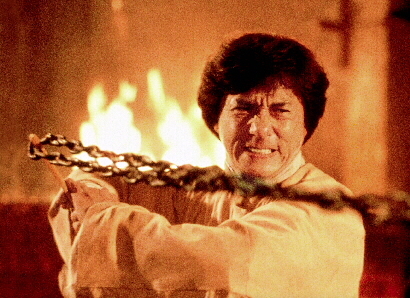 K: We do have a still, but Mr. Takahashi thought we shouldn’t show it either. T: There was a huge debate between the members of the selection panel after they’d finished watching it at the screening meeting. K: There was quite a commotion, wasn’t there? T: Some people strongly supported it and others strongly rejected it. M: Well, I guess that would happen. T: But, I couldn’t help but be moved by how adorable his desire to tell so much is. M: I think I know what you mean. T: It’s the sort of film that it can’t be helped if they say “no” to it. But it’s also the sort of film that you plead to be allowed to show. M: I love that kind of film. T: This is really the kind of film that would only play at our festival! T: It’s a wide world, but I don’t think there’s anywhere that would show this at a film festival. M: Hearing all that, I wish you could have had the director, Oscar, come to the film festival. T: Yes. I’d really like to know what he’s thinking. K: I mean, one of his previous works is a “black comedy SF western”. M: The one called “Atolladero”, right? T: (Pointing at a picture) What a gloomy face! The sorrow of not being understood by anyone is written on his face. M: Personally, this is my number one recommendation.